The team at Travel Time have a total of over 100 years experience in the travel industry - this means that we can plan your holiday or travel with a maximum of efficiency and a minimum of fuss! 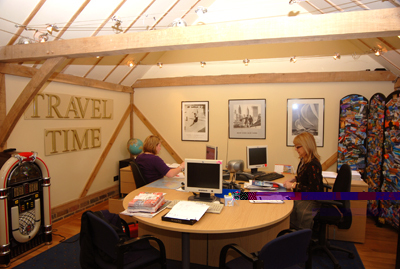 At Travel Time we provide a personal and professional bespoke service. Each member of our team is dedicated to providing the highest level of customer service and satisfaction. We have a pool of extensive travel knowledge, each member of staff having areas of expertise. Travel Time has the expertise to advise, research, source, organise and book every aspect of your personal or business travel requirements. We will save you from hours of fruitless surfing on the net and the frustrations of ‘virtual’ telephone operators.